Welcome to the home of star sign compatibility and relationship astrology, it’s what we specialise in here at Astromatcha! 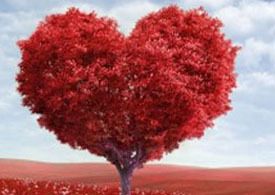 As we all know, Astrology is a fascinating tool that you can use to improve the quality of your love life. We have tons of compatibility articles written by our expert astrologers designed to help you understand your star sign and anyone else’s star sign that you may be interested in, whether they are a friend, lover, spouse or even a work colleague. Many people find that they can really begin to understand their current or previous partner better, find practical answers to common relationship challenges by learning the art of astrology. We’re really passionate about astrology and here to help you learn more about this amazing ancient system and how it applies to love. But what surprises most people is that there’s a lot more to relationships and compatibility than just your sun sign and your partner’s sun sign! In fact your moon sign is a great place to start if you already know a lot about your sun sign as many people do. Find out what it really means when your partner’s main sign is earth, air, fire or water and what the best match combinations for your signs is…. Whenever you want to know more about what a particular star sign is like, we have in depth guides for every star sign, you can find out what that person is looking for in a partner and get a better idea of what your particular match combination is. So If you’re just here for simple star sign compatibility, we’ve got all your needs covered with detailed articles on every possible match combination for your star sign too, not to mention our free Compatibility Calculator….. it’s a fun way to see what the basic match score for your star sign is with anyone that you may be interested in……. check out the compatibility calculator. 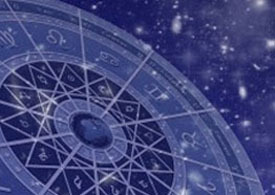 And when you want to take your knowledge of astrology to the next level, we have an excellent course that reveals many of the secrets that astrologers use to calculate your compatibility with anyone that you’re curious about. We call it Astro Love Secrets and you can check it out here. We also have a range of personalised and very detailed astrology reports available for you to which explain every astrological aspect of your romantic compatibility and relationship potential. In addition to all of our relationship astrology and compatibility articles, we have recently started a blog section too where we’re going to be examining relationships in more detail. These blog posts are a great way to increase your level of understanding about the particular patterns that we look for in relationship and synastry charts. So when you want know more about star sign compatibility, just think Astromatcha – the home of relationship astrology! Do you have Astrology Compatibility questions that you’d like answered? The good news is you’re in the right place! astrological compatibility can help if you’re sizing up a potential hot date or trying to figure your way through an ongoing relationship problem. We’re here to show you how it works ! Most people have an idea about which signs “go together” and which don’t, but there’s more to it than that. While simple Sign compatibility is fairly straightforward, the reality is that your entire chart is important. Sadly, this is often overlooked…. because your moon sign, ascendant and other personal planets also play a big part. But to get you started, we’ve simplified it for you! Here at Astromatcha, we’ve created a guide to astrology compatibility covering all 78 possible Sun sign combinations. This can be a handy and useful starting point for understanding your relationship or even just a friendship. If there’s something specific about your relationship that you want answered, send your relationship compatibility questions to us. We can’t guarantee a personal response, but we’ll do our best!